IndiMex was born at 401 Logan Road, Greenslopes on 8th May 2014. Since then, Chef GJ Singh and his team have served a growing number of confirmed fans. Situated on the restaurant and cafe strip at Stones Corner shops, IndiMex is, as the name suggests, a fusion of Indian and Mexican cuisines, deftly handled by Chef GJ thanks to his long experience in both. But it's not just the food over which he presides. 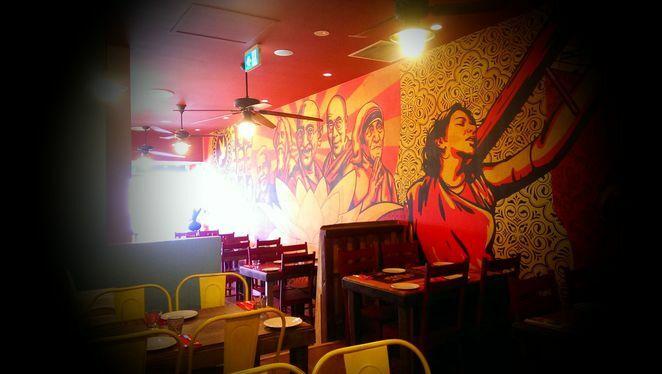 IndiMex is his dream come true, a long-held desire to bring the food of India and Mexico to Brisbane people who evidently enjoy both, and now don't have to choose because they can get it all in the one funky place! Chef GJ has put his heart and soul into the restaurant/cafe. The entire depth of the place is decorated with a huge mural, which he specifically commissioned to feature his idols. They include Gandhi, John Lennon, Mother Teresa and Nelson Mandela and their common denominator is peace, love and kindness. The orange brilliance of the mural echoes across the individually decorated tables, each one with its very own personality. One is festooned with comic moustaches, others are brightly painted with tequila, Tarzan, Mexicanesque and Indianesque pop art. In fact, Chef GJ even had some stunning canvases created to carry the eccentric theme across the opposing wall. 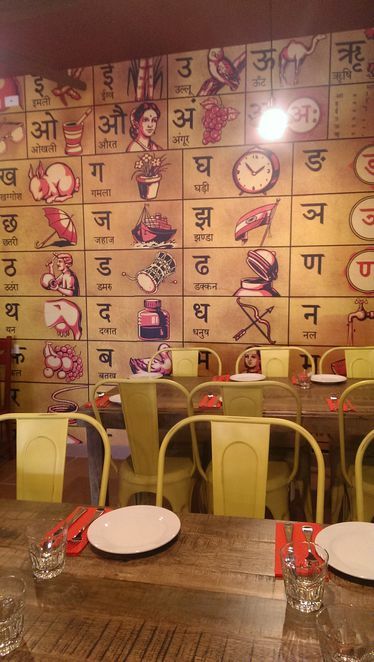 And then there's the Hindu alphabet themed wall which festoons the back wall. Out the front is the al fresco sidewalk dining area, raised one step above the footpath to give that element of inclusion on the IndiMex threshold. 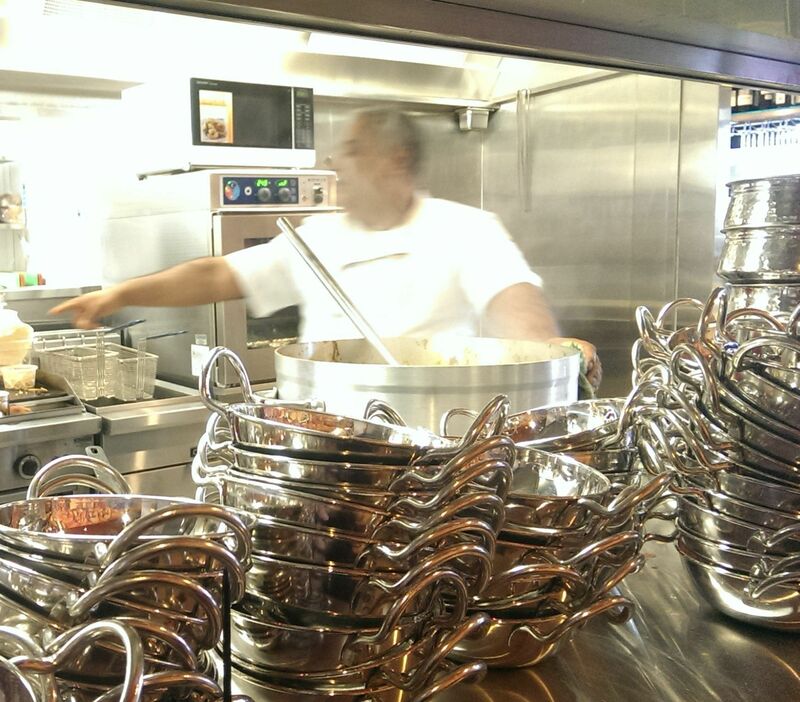 Open from 7am for breakfast and through to about 10.30pm, IndiMex serves food all day long. Breakfast offers an abundance of choice including traditional fare such as eggs benedict and pancakes, but also some very intriguing (and trust me, DELICIOUS) ethnic offerings. Try the 'Good Morning Amigo', chorizo and scrambled eggs. Or go for the Mex Masala Omelette, served with toast or parathas (Indian flat bread). There's also Oat Porridge and Chef Has Gone Crazy Muesli. And for the health nuts, Moong Daal Halwa. The lunch menu is a celebration of quick and easy curries, soups, salads, burritos, chimichangas and even grilled barramundi or black Angus sirloin steak. 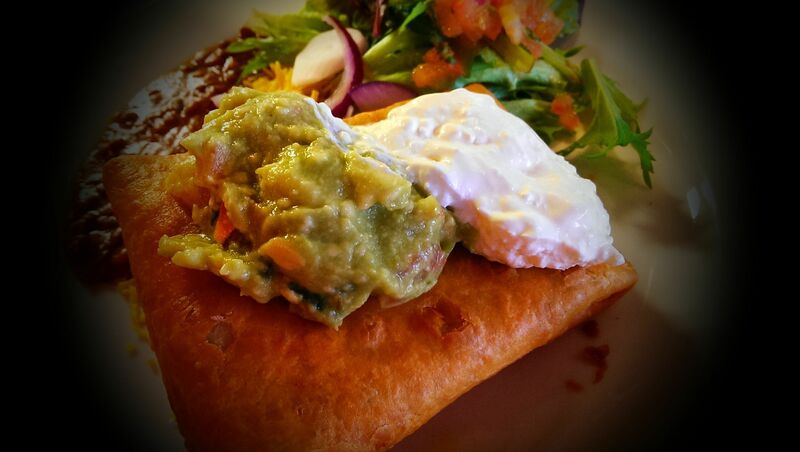 You'll find your regular Indian and Mexican sides like guacamole (best in Brissie!! ), naan, stuffed kulcha and flour tortillas. Kids will love Chef's child-size Curry & Rice, Fish Cocktail, Chips & Salad and other goodies. Dinner is all you can imagine. Biryanis, steaks, tandoori, vindaloo, Mexican favourites ... you can see their menus on their Facebook page and on their website. 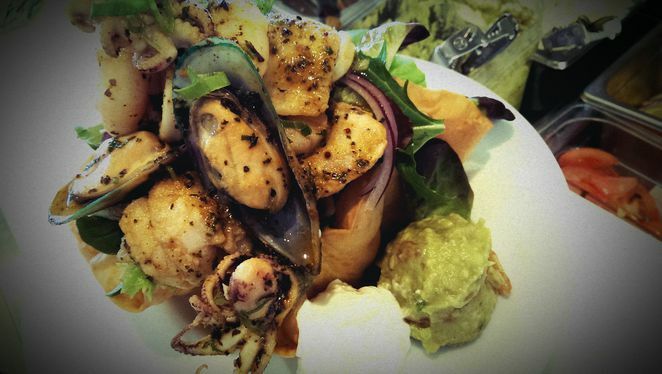 Try their Moreton Bay Bugs en Salsa Criolla or their Bombay Oyster Kilpatrick. Seriously good!!! For morning and afternoon tea, there's cake, tea, coffee, chai and all the usual suspects. The coffee is as unique as the murals. Chef GJ enlisted the expert assistance of Brisbane coffee roasters 'Dancing Bean' who created the exclusive IndiMex blend from premium beans sourced from India and Mexico. The blend is rounded out with quality Colombian beans. IndiMex has a full bar and offers basic and premium spirits, shooters, slammers, beers, ciders, coolers, wines and of course, spirit-lifting cocktails!! 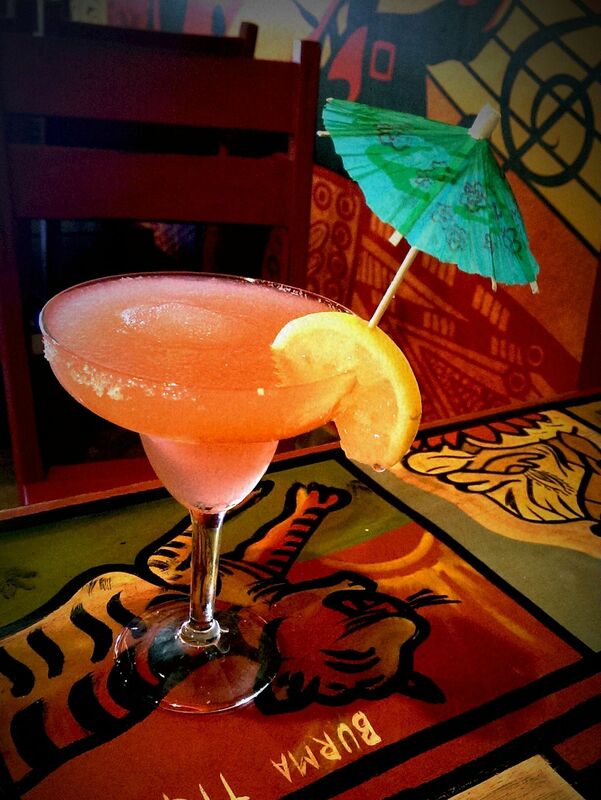 Grab a frozen Margarita or a house-made one. There's also Sangria and Long Island Iced Tea (plus mocktails). The staff are friendly and accommodating and the music is always upbeat and fun. There's a definite vibe to the place that makes you feel like lingering longer. Every detail has been attended to and the team evidently takes great pride in their role at IndiMex. It's open 7 days a week but don't keep putting off "until another day". Brisbane's restaurants need and deserve support. Grab a takeaway, get yours home delivered or chill for a while and be waited on by IndiMex's cheerful staff. Parking is free for the first 2 hours in Stones Corner Village just an elevator ride away. It's really refreshing to find a restaurant that thinks of everything. Definitely a must-go if you can't make up your mind between Indian and Mexican. Or just if you want good, flavoursome, honest food cooked by a pro! The walls are a bit busy for me, but the food looks excellent.